Padded for protection and with a breathable construction, the Briers Red Flex and Protect Gardening Gloves B8738 are ideal for protecting your hands during both intricate and heavy-duty gardening tasks. They have additional protection between the thumbs and forefingers to ensure handling tasks can be as safe and secure as possible. 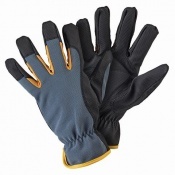 Suitable for both intricate and heavy-duty tasks, the B8738 gloves offer both dexterity and protection. 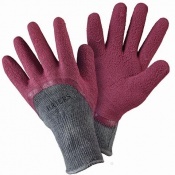 They are padded in the knuckles and palm areas to help prevent injury when handling heavy or robust tools and equipment, while the breathable areas between the forefingers help to keep hands cool during long hours and strenuous tasks in the garden. 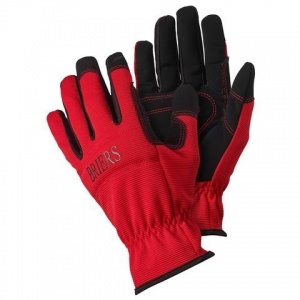 The Briers Red Flex and Protect Gardening Gloves are available in a single size that should fit most individuals. Please consult the table below for details. 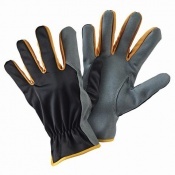 The Flex and Protect Gardening Gloves are also available in a Size 9 (Large). Please see the Grey Flex and Protect Gardening Gloves for a larger size.